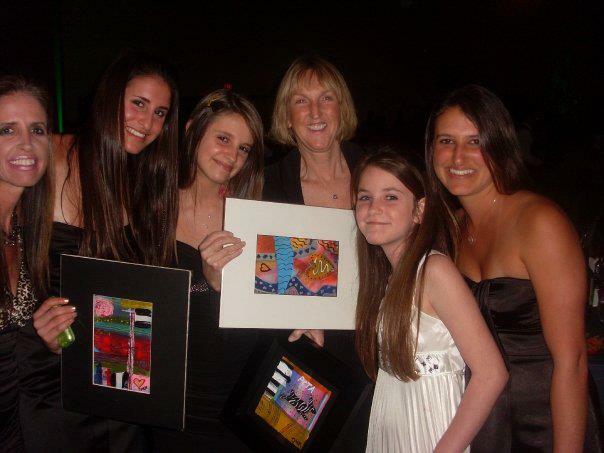 When I was in high school, I painted two pictures entitled "Everybody Deserves a Happy Home" and "4 The World." Every time I sold a print, all of the money would go to a charity of the buyers' choice. These two pictures have raised substantial money for different animal rights, environmental, and educational organizations around the world. Through these two pictures I was awarded the Compassion Award from The Wildlife Care Center and received an award from the Animal Rights Foundation of Florida (ARFF) which was presented to me by Bob Barker and Pamela Anderson. I think giving back whatever you can, whether it be a big amount or small, is extremely important. I want to continue to help out as much as I can whether it be through my art or whatever else I do! 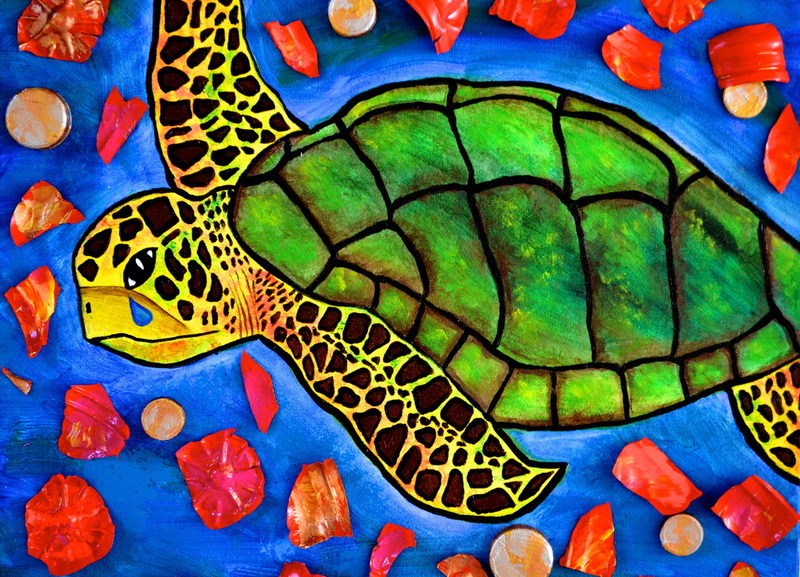 I recently painted two more pictures entitled "Don't Bottle Up Your EmOCEANS" and "Never Breaks" of which I plan on donating part of the profits to Surfrider Foundation. 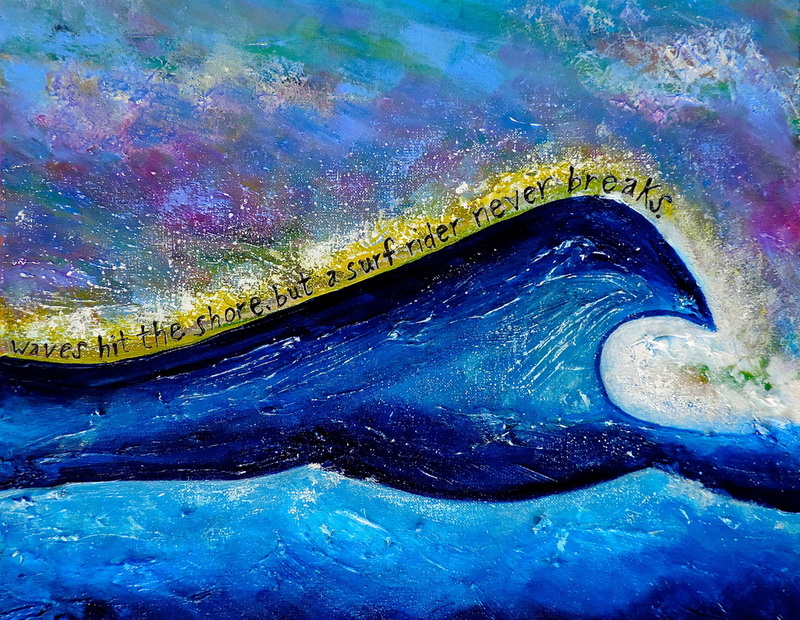 The original of "Never Breaks" was commissioned for the Costa Rican chapter heads of Surfrider Foundation. 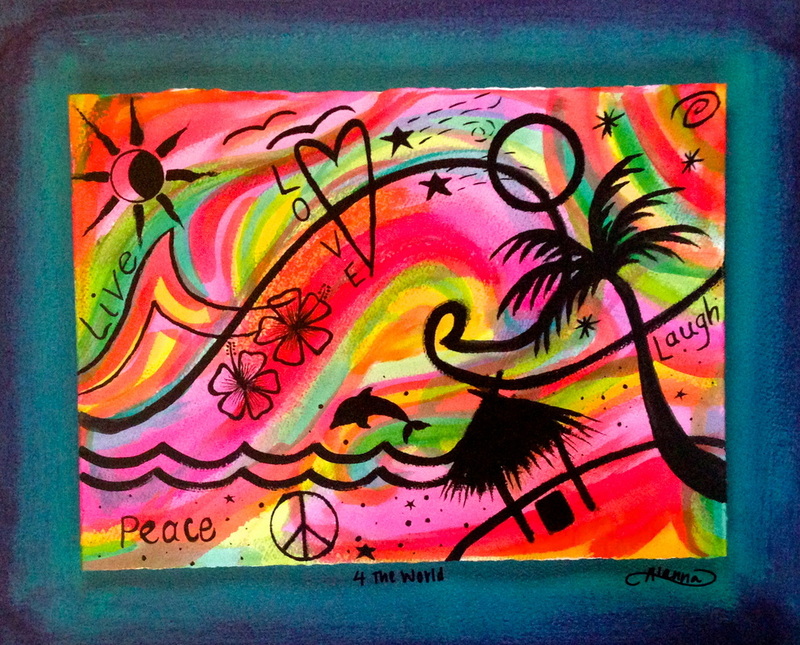 You can see all my charity pieces below. 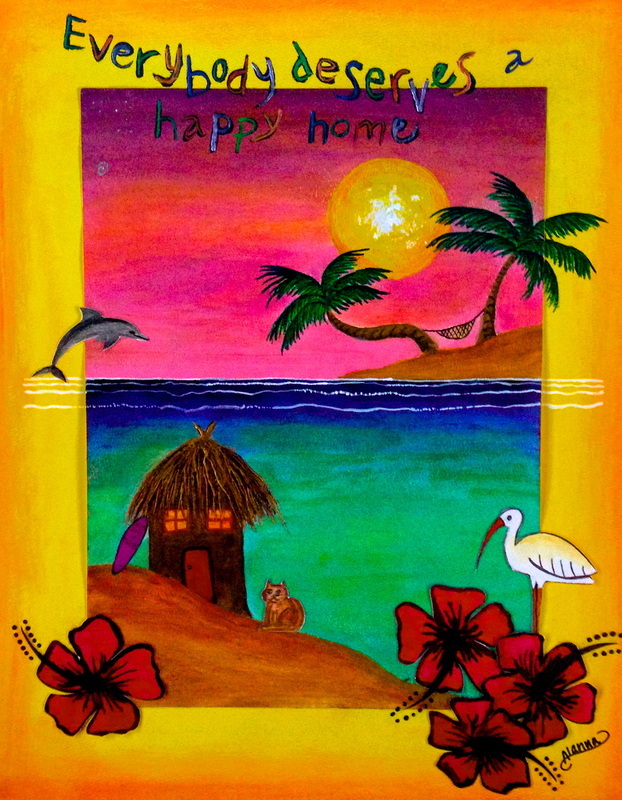 "Everybody Deserves a Happy Home"
"Don't Bottle Up Your EmOCEANS"
Presenting Pamela Anderson with art. 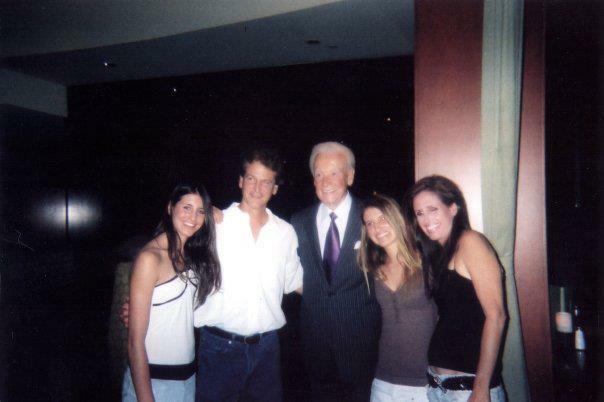 Meeting Bob Barker at an ARFF charity event. The oldest animal rights activist.